An East-West Love Story’s Strange Beginning | Wake Up, Mama! As I make lists, run errands, and get out suitcases, scenes from previous trips always play in my mind. This time, that first trip is coming back to me the most. On the next one, we got married for the second time that year–we had one wedding here, and another in India. The third trip, our 5 month old baby joined us to meet his grandparents, aunt, uncle and cousins for the first time. And on the fourth trip, we traveled with both boys, then 6 and 2 years old, and visited the Golden Temple in Amritsar and my husband’s ancestral village. Still, that first trip feels the most monumental in my memory. Two years before the first trip, we went through the strangest sort of break-up. I was a labor and delivery nurse, and I wanted to go back to school to become a midwife. That was the plan all along–the only reason for going to nursing school. But I also had wanderlust and felt called to take advantage of the amazing opportunity that is travel nursing. And my lease was coming up on my apartment. We had been together for almost a year. We were madly in love and spending all our free time together, but had not discussed future plans. He never brought it up, and I had been around long enough to know that pushing those discussions could send a man running for the hills. And yet, I needed to figure out what I was doing with my life. So one night I took a deep breath, let him know what was cooking, and asked him –are we making these decisions together? Or am I making them? It came out that even though he loved me, he didn’t see a future for us because he felt he would eventually have to give in to the pressure to enter into a traditional arranged marriage. I was devastated to learn this. It sank in as we talked more about it over the days that followed. He didn’t have a clear idea of when this might happen or how long he saw our relationship continuing. I wasn’t going to stick around and await the inevitable. So I made my plans to hit the road as a travel nurse. I would leave in two months’ time. Originally, the plan was Chicago, but at the last minute I decided on a hospital in Connecticut just a couple hours away. I told myself it was for the sign-on bonus they were offering, but really I didn’t want to go too far at first, just in case. We decided to keep seeing each other until I left, and what followed were the most excruciatingly bittersweet two months of my life. It’s really strange, beautiful and horrible to be with someone knowing there is a definite end point, but for reasons that have nothing to do with how you feel about each other. After I left, we kept in touch by phone for a while. He told me his parents had been in contact with the family of an Indian woman from Canada, and plans were underway for them to meet. Soon after that, I told him not to call or email me anymore because it was too painful, and clearly we could not be friends. That summer, I spent a lot of my free time crying while watching The English Patient (remember? 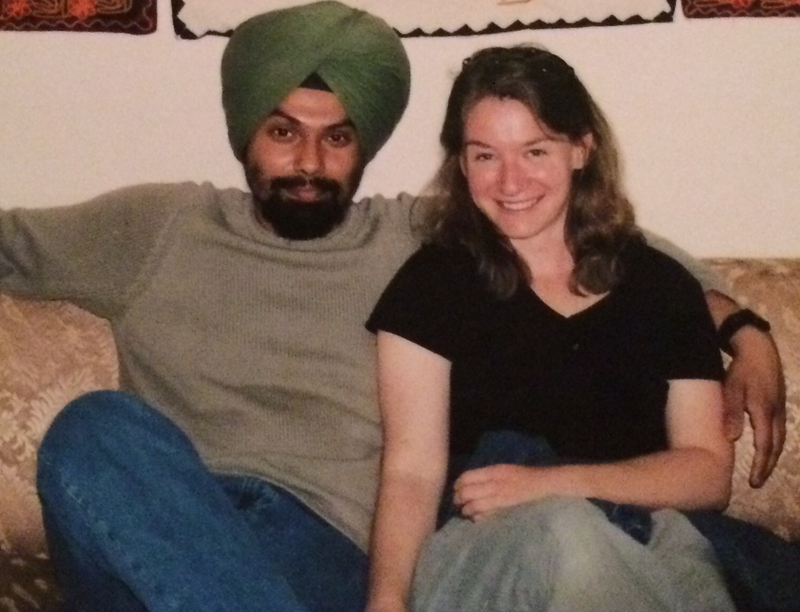 Hana and Kip, the nurse and the Sikh engineer). One night in August, after a few drinks out with some ladies from work, I called him late at night. We talked for a while and I learned that he had called off the arrangement with the woman from Canada. Independently of me, he had decided and told his family that he would not enter into this or any other arranged marriage, not now and not ever. He drove two hours at 1 a.m. in a torrential downpour to come see me, and the rest, as they say, is history. It was still unclear for some time if we realistically had a future together. My life was completely my own. I was a rebellious child even before my fiercely independent adulthood. For him, involving family in life decisions both large and small was not just a matter of cultural conditioning, it was in his soul as well. We still had no idea if his family would accept me, or if we would be able to navigate the many cultural differences between us. But we were back together. Sort of. By then, I had already made arrangements for my next travel assignment, this time in Austin, Texas, and I had no intention of cancelling it. I was looking forward to spending some time with my brother who lives there, experiencing a different part of the country, and seeing some great live music. I had my drive down there all planned out, with all my stops. It had been a bit of a project to arrange my life to be a nomad and live only with what would fit in my little Subaru hatchback. I decided that if this relationship was going to work, it would survive being long-distance for a while. We talked every day, and between him coming to see me wherever I was and me coming home, we managed to see each other about every 6-8 weeks. I traveled for another year and a half until it was clear to both of us that it was time for me to come home, and time for him to take me to India to meet his family. I made my last solo cross-country drive, this time from the San Francisco Bay Area back to the east coast. We left for India a week later. 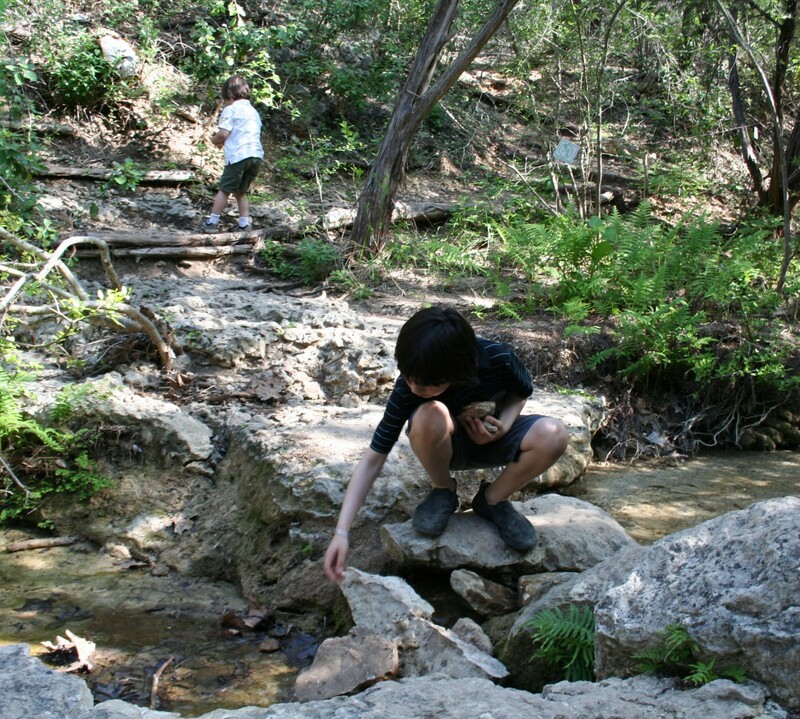 That trip was our big leap of faith. Our true test. It was also the beginning of my relationship with G’s parents, who never bargained for me, but who accepted me into their lives, telling him, “We want you to be happy.” They welcomed me into their home for three weeks before we were even engaged, never mind married, even though for them this was a bit scandalous. Their love for their son and the importance of his happiness trumped all else. The process of getting to know them over the 13 years that have followed has been a strange and delicate, sometimes painful, often awkward (sometimes comically so), and ultimately beautiful dance. They are my family now, too, not just by marriage, but in my heart as well. So here we go on another adventure halfway around the world, to this magical place that used to be home for him, and still is in many ways. For me, at first, it may as well have been another planet. As the years go on, India oddly becomes farther removed for him and more familiar for me with each trip. G and I have gotten better at understanding each other and staying connected on these trips. We know which parts are wonderful and which parts are hard for the other. We know where all the hot buttons are, having hit them all by now, and we are gentle around those. We are better at knowing how to be what the other needs–in both countries, actually. Preparing for this fifth trip and thinking of how far we’ve come, I’m crying and laughing all at once. 🙂 Have a wonderful trip. I will see you when you return. Rohan will be so big by then! You guys look almost exactly the same. Both so cute. I felt like I was reading a novel. I loved it and wanted more! The traveling nurse, the canceled arranged marriage (You called him on a whim, what if you hadn’t? Was he planning to tell you this new information?? )… it’s all so romantic and edgy. Write a novel. Really! Have you read Pioneer Woman’s novel about how she met her husband? It’s that sort of thing!! I will check that out, thanks, Melissa! I’m so glad to know your beautiful story! Have a wonderful trip! Very compelling story! I want to read more about that first trip to India! Pingback: Being a Parent on Day 1 of Trump’s America | Wake Up, Mama!